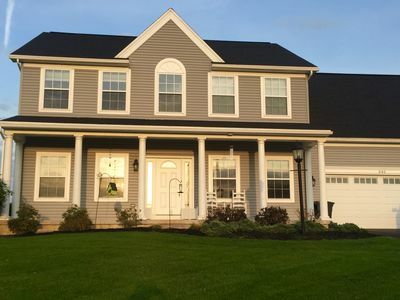 This Beautiful NEW home is available year round as a guest retreat. 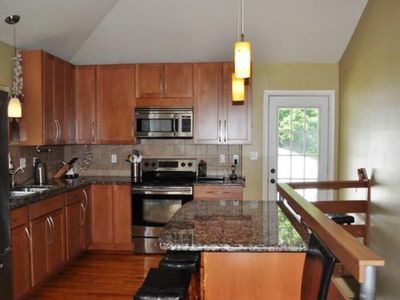 It's only 2 or 3 minutes from PSU campus, down town State College and the University Park Airport. 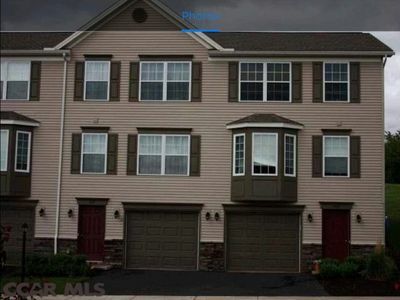 The home is Close to eateries , shops and all that State College offers with easy access to I99. 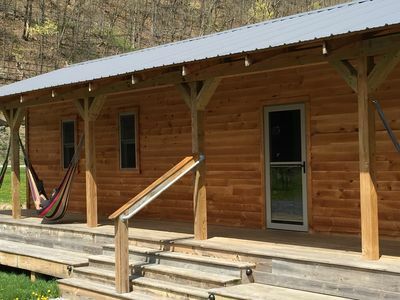 The guest home overlooks the World Class, Spring Creek..The number one, trout, fly fishing stream in PA.******* NOW AVAILABLE FOR EXTENDED STAY FROM MARCH 1, 2019 THROUGH APRIL 30, 2019. Stay for a week, or for the whole 2 months. Contact us for pricing on the extended stay. 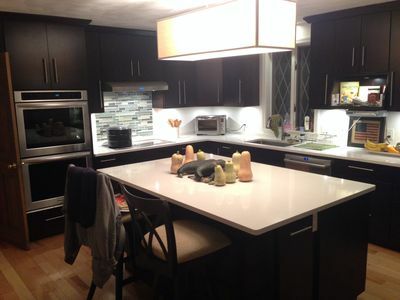 ****** FULLY FURNISHED AND EVERYTHING IS INCLUDED. 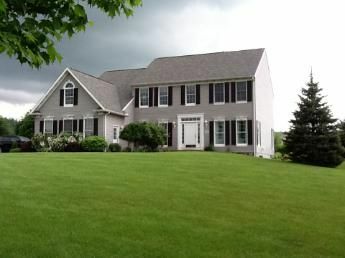 This home has High Cathedral Ceilings and an open floor plan and it's all on one level. 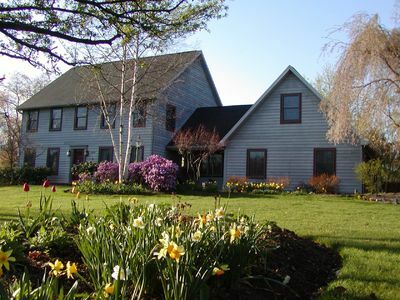 You will see beautiful views of country living from the large windows. We also frequently see wild life including deer, wild turkeys, A pair of Bald Eagles, ducks and birds that visit the feeders and enjoy getting a drink from the Creek, all right in the back yard. 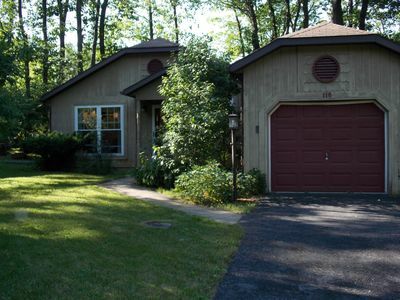 The home is in a private setting with no close neighbors and lots of yard and meadow area.. with easy access to the creek. There is also plenty of off street parking for cars or an RV. 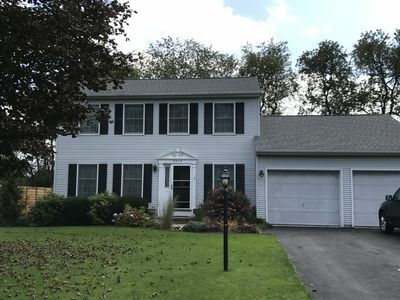 The home has lots of charm and character and is a lovely place to rest and enjoy your family. 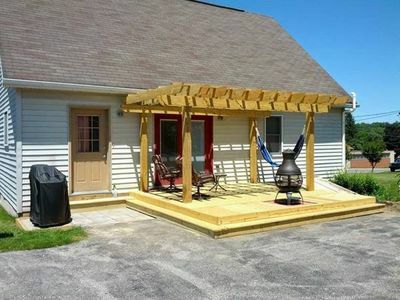 It's an all new construction with top of the line finishings and is very clean and well kept. Everything you will need is provided. All appliances are Stainless. 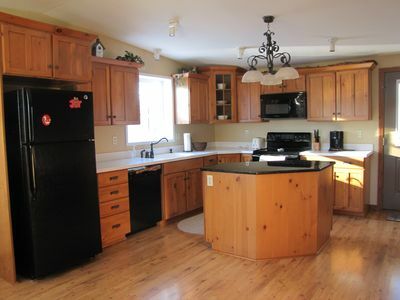 Beautiful Granite Counters in kitchen and bath, and tile flooring throughout most of home. 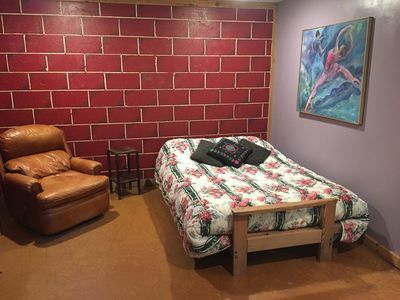 Bathroom has toasty heated flooring and over head heating fans. The home has a large deck that overlooks the creek, a heated private pool, hot tub that seats 6 with waterfall feature and lots of jets.. also colored lighting, multiple patio's, fire pits , and barbecue grill's. 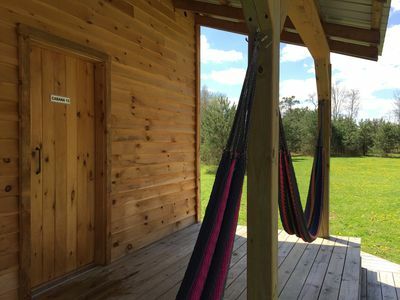 The kitchen's french doors open to a large wooden deck that's a perfect spot for a picnic or a great spot to relax. 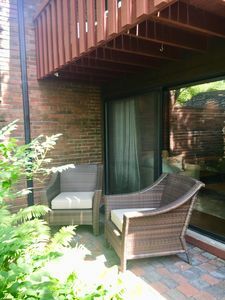 There is also a screened pavilion with furniture, a picnic table, water features and plants. Perfect for a relaxing evening of conversation, dinner, cards or games. 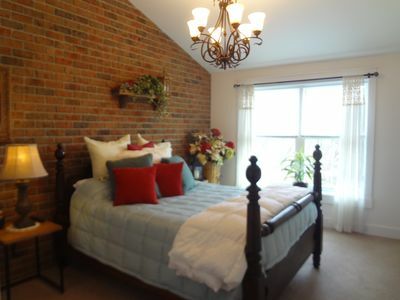 The main bedroom has high cathedral ceilings and a queen sized bed with it's own private bath and heated tile floors. The other two bedrooms which both have queen size beds, share one bath. Tile flooring is throughout most of the home. Bedrooms all have new carpeting. The home has central air-conditioning and an electric heat pump. So, it's nice and cool all summer and toasty warm in the winter. The Private heated swimming pool is perfect for the months of May - September and the new Hot Springs Hot tub is open year round and seats 5 to 6 people. It has a wonderful waterfall and great jets and lighting. HDTV in both Master Bedroom and Living Area, with Cable/internet and WIFI included. 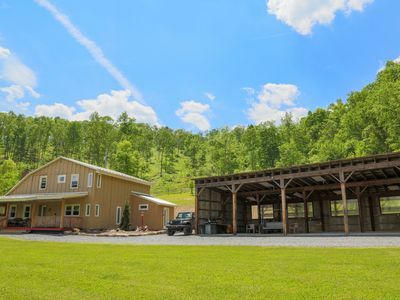 This home is within walking distance to the Spring Creek Canyon with trails that lead to Fisherman's Paradise. It's a beautiful area to see. 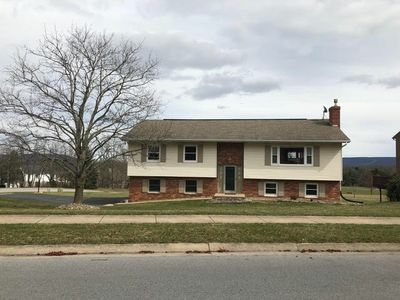 It's also close to shops, stores and eateries, Spring Creek Park and just a couple minutes from PSU Stadium and other PSU events. A complimentary breakfast with coffee, tea, juice, bagels fruit and yogurt are provided for your first nights stay. *COMPLIMENTARY BREAKFAST first nights stay. *CLOSE TO SHOPS, MALLS AND EATERIES. 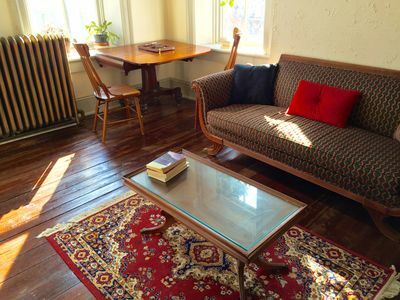 *EXTENDED STAY IS OFFERED FROM MARCH THROUGH APRIL ASK ABOUT PRICING. INCLUDES EVERYTHING. YOU CAN STAY A WEEK OR TWO OR THE WHOLE 2 MONTHS. 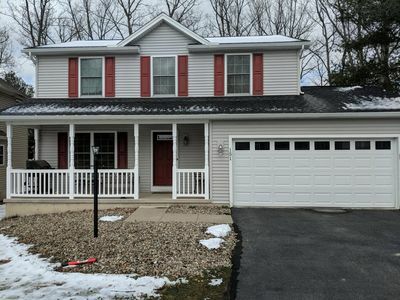 3 bedroom home only 6 miles from Beaver Stadium! 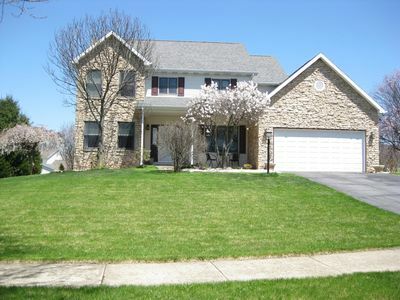 Wonderful large home close to PSU! Quiet country setting. Plenty of amenities! !